Welcome to the region's most premium fitness club. We're going to change your life! Home Capital Fitness News Welcome to Capital Fitness! My name’s Phil Howard, and I’m the CEO and Head Trainer at Capital Fitness. 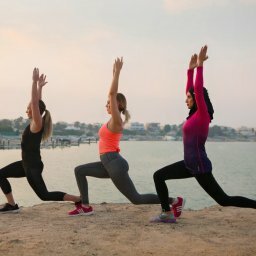 Starting on 1 November 2017, Abu Dhabi will have its first truly world-class boutique personal training club – and we’re delighted to bring it to you. We started Capital Fitness with some specific goals that we believe can really improve lifestyles in our community. In this first blog post, I’m going to talk about some of them. But the overall objective is really simple. We wanted to offer premium quality, research-backed training in the region’s most luxurious facility, with service of a level you’d expect at the top boutique studios in New York, London, Paris, Sydney, Tokyo and Hong Kong. We wanted to provide great value to a limited club of members. And we wanted to be ambassadors for the scientific side of fitness – to help people get away from unsustainable fad dieting and training programmes that don’t give great results over time, or that you just can’t stick to without making unreasonable sacrifices. And for me personally? As Capital Fitness’ CEO and Head Trainer, it’s my 100% commitment to give every member an unparalleled experience. I’m really proud to lead a term of highly qualified trainers and staff who have the same commitment. We’re dedicated to the science of successful results and the happiness of each client. So, let me talk a little about what that actually means. 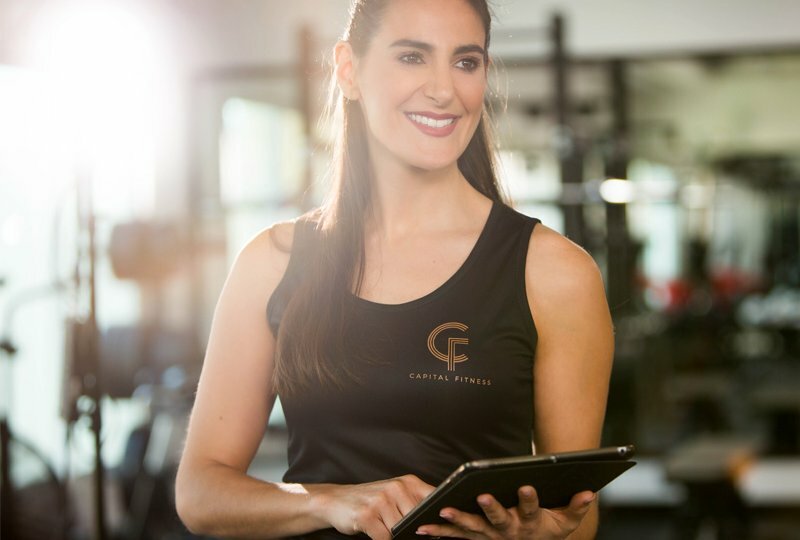 As a member of Capital Fitness, you’ll get the best personal training from highly-qualified fitness specialists in an incredible setting. But that’s just the start. You see, we’re on a mission to to help everyone get smarter about their health. It’s not just a slogan. We mean it literally. Long-term results are about knowledge as much as they are about how you move your body and what you eat. If you understand why your exercise and nutrition are right for you, and the flexibility to get great results whilst still living a lifestyle you love, you’ll be more likely to stick around and keep improving. And at Capital Fitness, every programme we provide, all the nutritional guidance we give, and everything else we do, is supported by real research by the industry’s leading PhDs and acknowledged experts. If you’re interested, you’ll be able to learn about this as you’re training. And that way, you’ll not only get great results, but you’ll have permanently learned what works for you. That’s invaluable information that will really enhance your lifestyle and wellbeing for the long term. A real investment in yourself. The team of trainers who will provide this to you are some of the best in their field. We’ve hired women and men from around the world who are fantastic client service providers, but also have high-level qualifications and experience that they know how to pass on to members. And of course, it’s not all serious. We have an active social club, with regular get-togethers and a wide range of activities. We’ll be updating our blog regularly – with news about Capital Fitness, sure – but also with highlights from the research community about the latest in proven ways to maximise your results. I’m really looking forward to meeting you and getting you started on this amazing fitness journey. Visit us on social media or at our studio – we’re sure it’ll be one of the best decisions you’ve made.